From a slinky salamander to a dancing dolphin, “Animal Acrostics” are poems using the letters of the animals’ names down the page. The poems were published in the Winter 2009 issue of R.E.A.L. 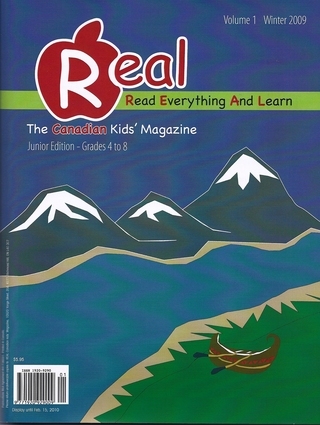 The Canadian Kids’ Magazine. “Animal Acrostics” are illustrated by the award-winning artist, Naomi C. Rose. To visit Naomi and to see her beautiful artwork, go to www.naomicrose.com. Naps under a damp rock. Reigns over a dark, secret world. Listen and wait on a snow-filled night. Acrostics are a great way to have fun with words. I like to play with poetry as a way to inspire ideas.